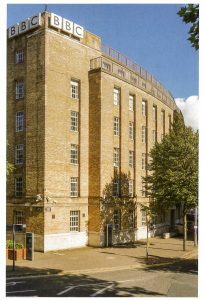 You are here: Home > News > BBC backs Belfast’s Built Heritage in Broadcasting House Restoration Plans. Designed by Scottish architect, James Miller, the steel framed, polychromatic brick building was completed in 1941. Based on George Val Myer’s Broadcasting House in London- the first purpose built home for radio in the United Kingdom. The Belfast and London BBC headquarter buildings share similar architectural character- built on curved site with structural steel frame and similar window to wall ratios and glazing styles. Together they are now seen to be the only two such purpose built, ‘architecturally branded’, BBC buildings left in the UK. The many alterations carried out over the years to allow BBC NI’s development mean few internal features of interest survive. However, the exterior of the main broadcasting building still maintains its original modernist character, and underneath its structural steel frame survives. In recognition of its architectural and historic significance, the building was listed in 1994. 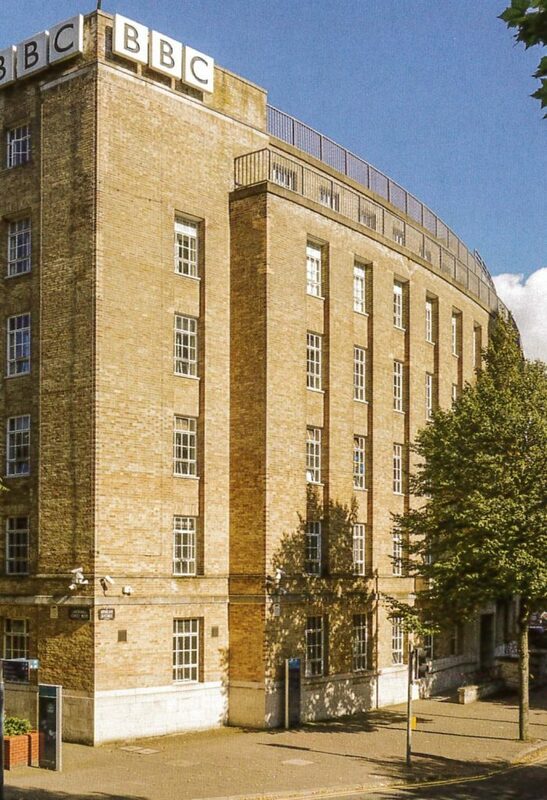 UAH is delighted that, contrary to previous speculative reports of potential moves to various new build sites or other buildings, the BBC will now stay in its historic, listed home. 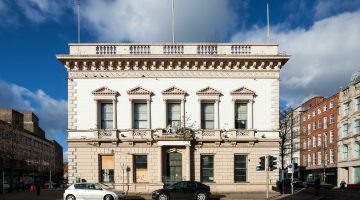 Located on the site of a converted linen warehouse that housed its beginnings, where Tyrone Guthrie first proclaimed ‘This is Belfast, 2 BE calling’ in 1924. 80 years ago the plans for the building were announced. Since its completion in 1941, the BBC NI and this building have withstood a lot. Through the years of the Troubles the BBC continued broadcasting without break, even when extensive damage was caused to the building by a bomb in 1974. 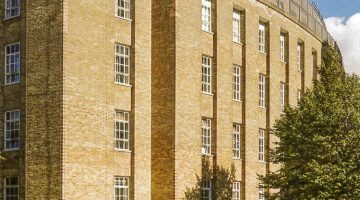 Today an investment of £77M over six years, has been announced by the BBC, ensuring the building’s continued, long term sustainability by upgrading and equipping the building with the ‘best infrastructure and technologies’. Addressing what the state broadcaster says are “critical deficiencies”. With so many buildings of the modern era being overlooked, or as in the case of Cathedral Quarter, proposed for needless demolition, it is timely that the BBC has set an example in deciding to retain and enhance the significance and sustainability of Broadcasting House Belfast.